Will the Joker look even creepier in fluorescent? That's to find out! 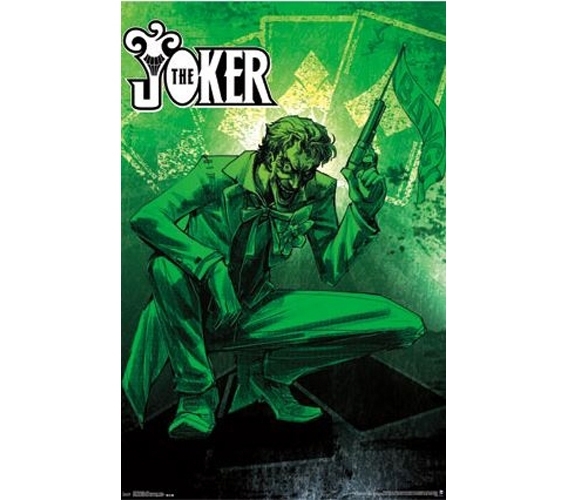 With this Fluorescent - Joker Poster, you'll certainly add a unique college supply to your dorm room wall decor. So when you're choosing supplies for college, always look out for dorm items and college products that are fun dorm supplies. Decorate your dorm with posters for college as part of your dorm must-haves, but don't just choose any posters. Go for something different, and in this case, fluorescent! We haven't seen many fluorescent college comforters or dorm futons out there, so this is trait that seems unique to dorm room posters.